Can Congress Force Google to Remove Pirate Sites From Search? Would this constitute censorship? Untangling the thorny issues at the heart of the current Congressional hearings. Congress is mid-hearing about all sorts of piracy at the moment, but one interesting trend has emerged: The notion that Congress could force Google to de-list pirate sites from search results? And does this constitute censorship? The House Judiciary’s subcommittee on IP, competition, and the Net hearings have seen a long list of witnesses speaking about how their industry is suffering at the hands of pirates (of all calibers, from professional crooks to home users) and counterfeiters. On the table are apparently a number of moves to protect U.S. industry, including forcing Google to adjust its search engine algorithms, and even censoring particular pirate trafficking websites from U.S. users at the ISP level. Witnesses like Fred Huntsberry (COO of Paramount Pictures) have been pointing out how “enormous profits can be made in trafficking stolen movies” and how there’s an entire “shadow economy” of illicit sites that are merely four or five clicks into a Google search–and then highlighting “cyberlocker” websites like MegaUpload, which he estimates turns in profits between $40 million and $300 million, as key culprits in disseminating stolen movie files. Huntsberry also noted that Paramount has spent about $40 million of its own cash sending infringement notices, and that Hollywood output has been noticeably dented by piracy diverting cash away from its coffers. A speaker for the policy organization Information Technology, Daniel Castro, also estimated that about 750,000 U.S. jobs have been lost because of “rogue” websites. It seems that one of the main issues in the bill the committee is drafting is to determine exactly what a “rogue” website is–a task that really needs to be done before any punitive action could be taken. The bill apparently contains language that defines an offending site as one that “has no demonstrable or significant commercial purpose or use other than to offer goods or services” that violate copyright law. That would cover some offending sites, but “cyberlocker” services arguably also host files that their users have legitimate rights over, and even the infamous Pirate Bay hosts links to legal content. Castro was behind the suggestion that Google, Yahoo, and other similar services could be ordered to block revealing these sites, once identified, from their search results. But the U.S. acting registrar of copyrights Maria A. Pallante said that a better solution may be to “starve” rogue sites of income by legislating to prevent payment systems like credit card companies or PayPal sending funds to them. She noted that excessive actions to suppress access to web content may actually violate free speech laws in the U.S. This is actually the key question behind any legislation the subcommittee finally drafts: With actions by Immigrations and Customs Enforcement and DHS to shutter hundreds of pirate-related websites resulting in accusations of over-zealousness (demonstrated by the seizure of the domain name of a popular Spanish sports re-broadcasting website, despite two Spanish courts deeming it not to be in violation of copyright), and growing controversy surrounding the ACTA copyright legislation, Congress will have to tread very carefully to avoid serious controversy. Meanwhile, the product of three years of research by 35 researchers for the Social Science Research Council has just resulted in a new paper on the very topic of tackling piracy. It’s conclusion seems to fly in the face of Congressional thinking. 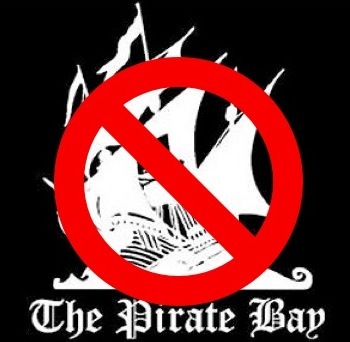 The paper notes that piracy really can’t be stopped by censorship, enforced disconnections of pirate downloaders, more police powers or other punitive actions. Instead the Media Piracy Project notes that piracy of movies, music and digital code is actually best described as a “global pricing problem.” The high prices some goods carry are behind many acts of piracy, as well as artificially delaying the release of a product to other nations–which even causes pirates in “developed” nations to illegally download content. The report concludes that piracy is a sign of “unmet consumer demand” and that by rethinking their pricing strategies, content owners could actually increase their profits by controlling their prices and distribution better.